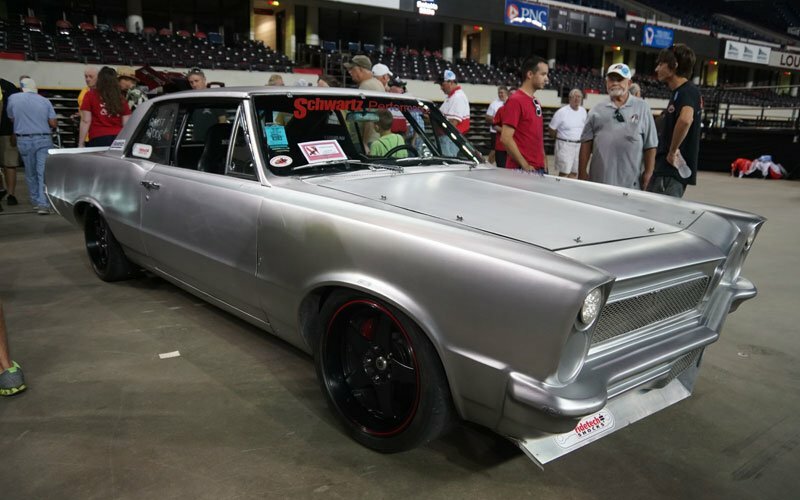 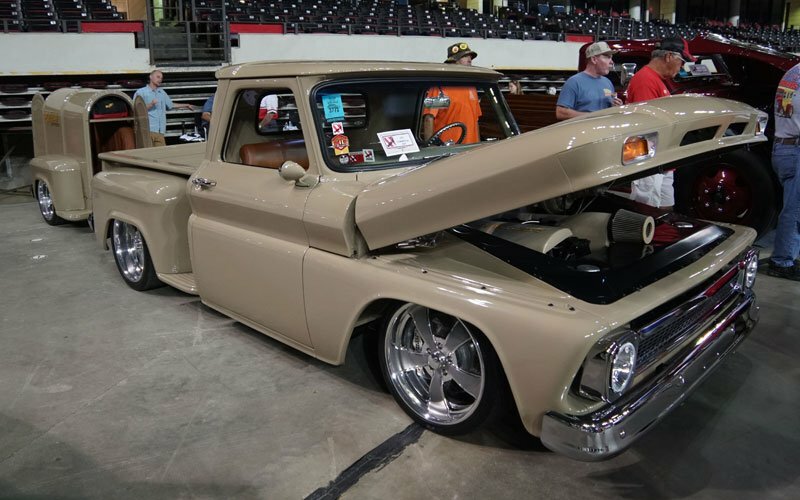 The NSRA Street Rod Nationals 2018 proved every bit as exciting as we expected. 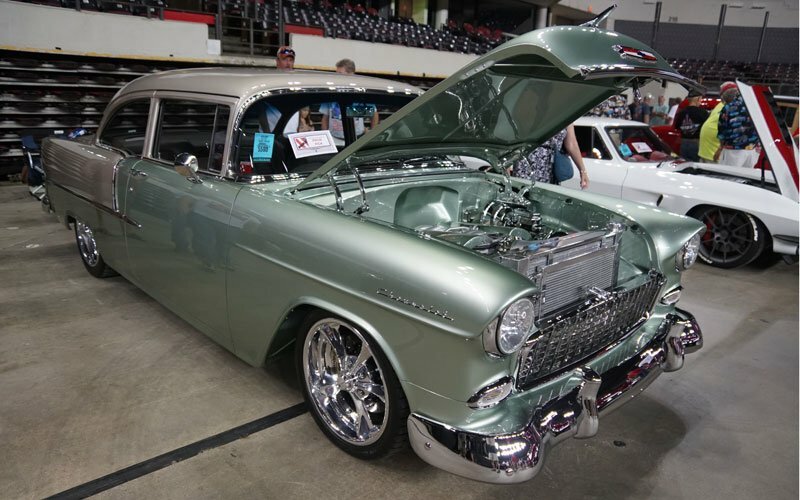 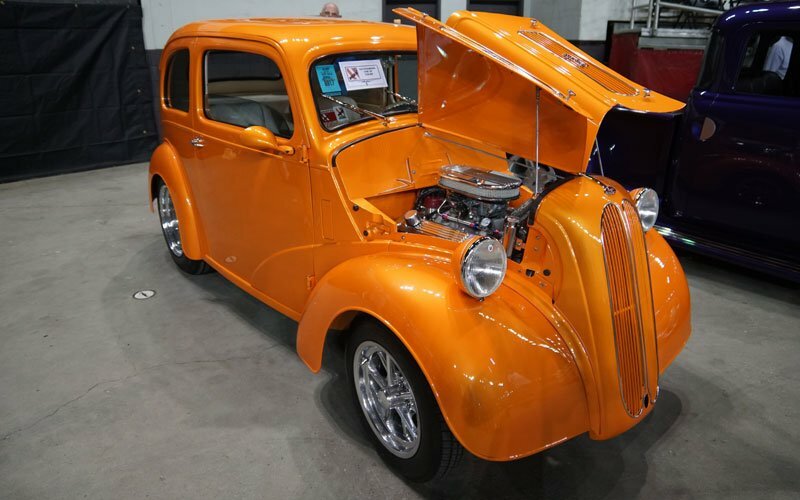 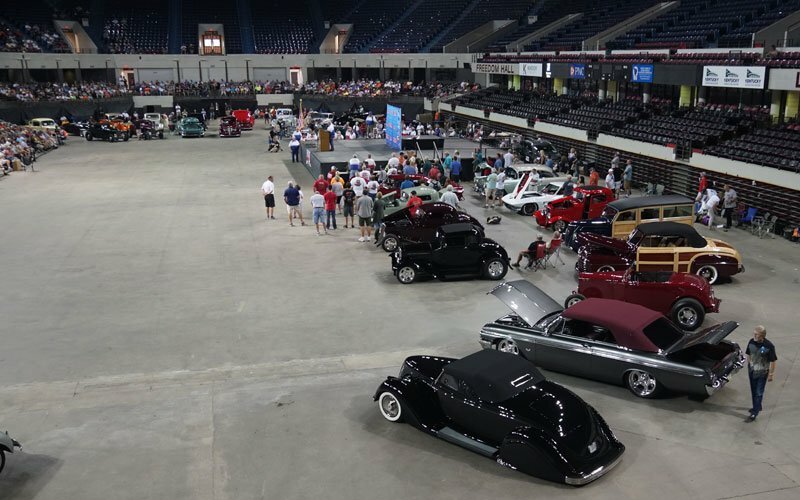 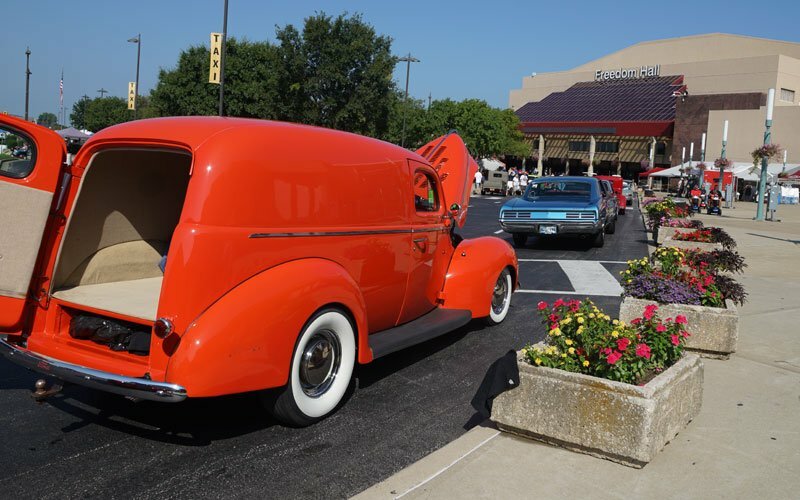 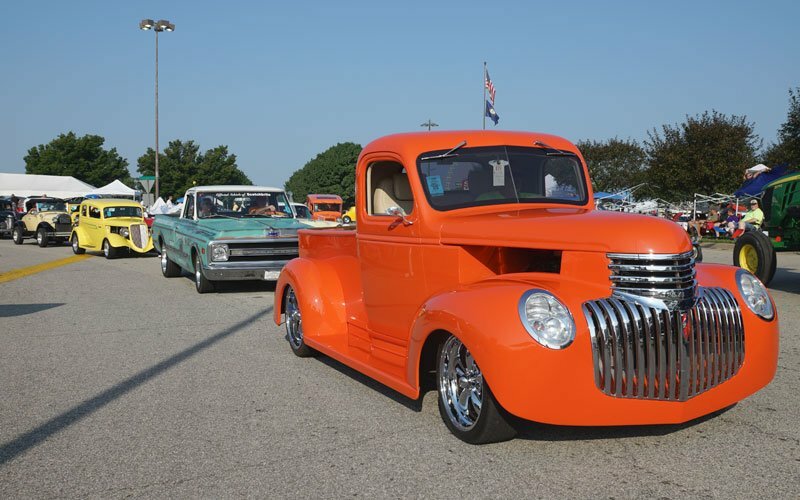 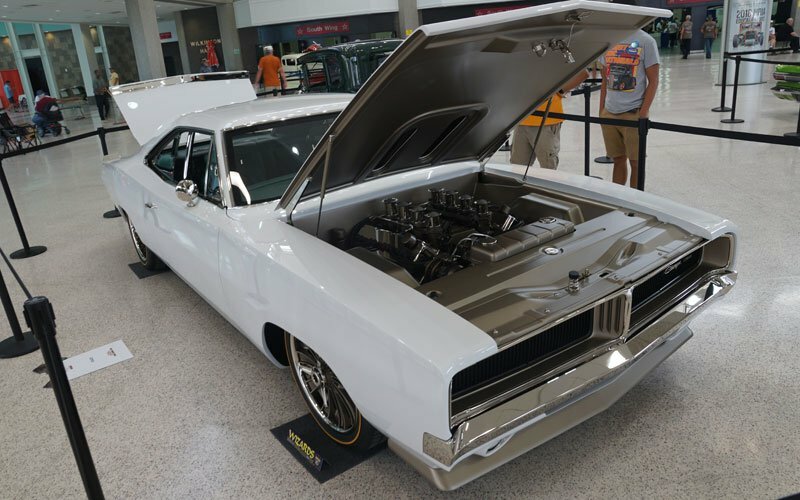 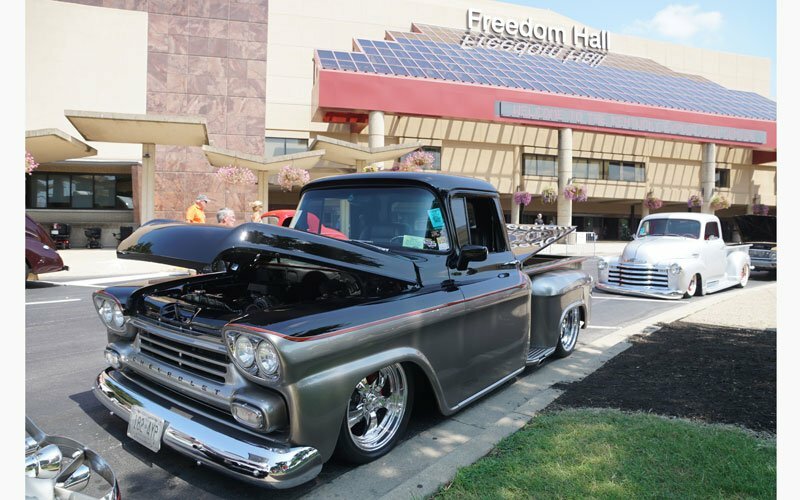 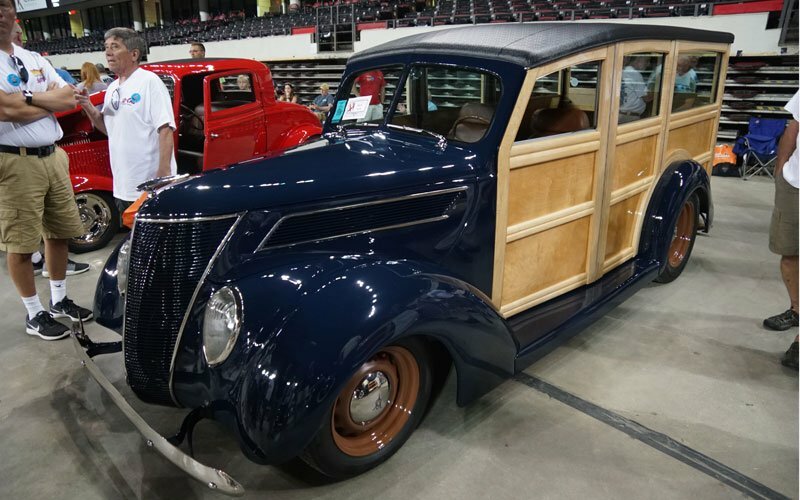 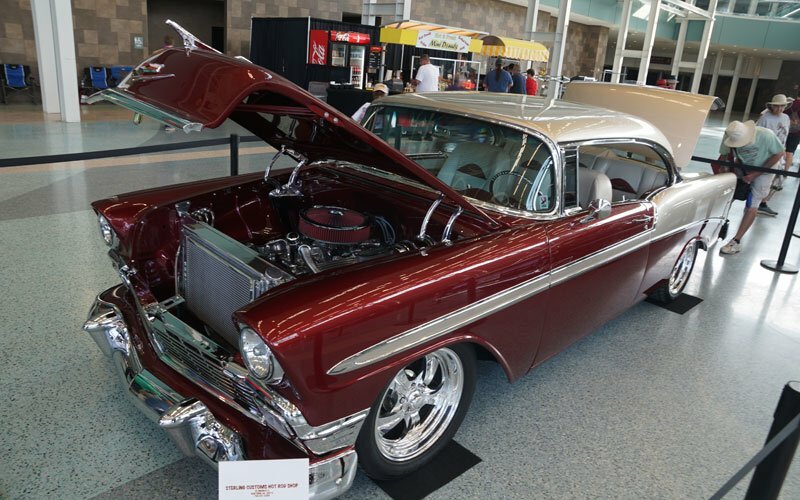 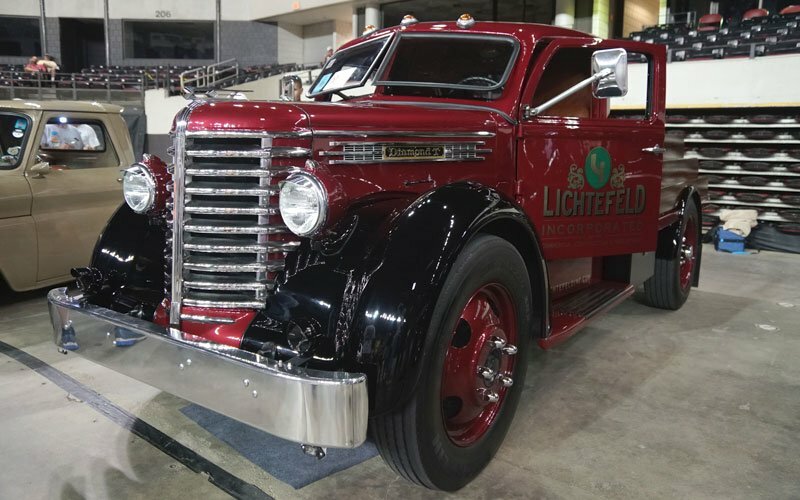 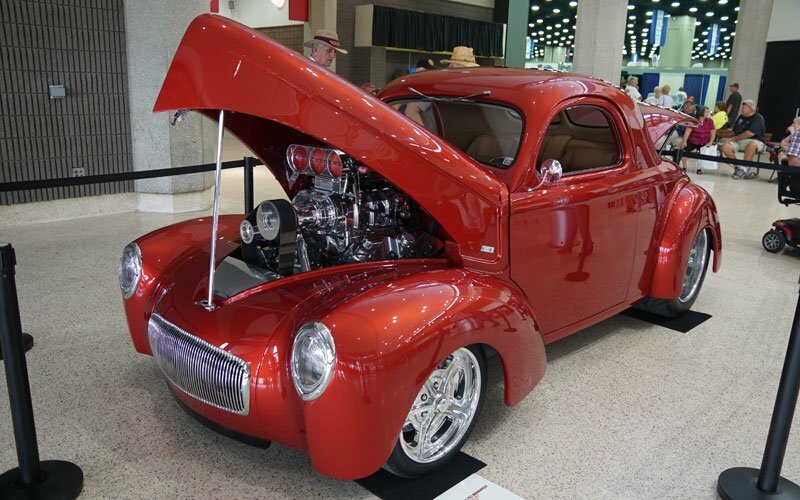 Street rods and custom cars packed the Kentucky Expo Center for all four days, August 2-5, 2018. 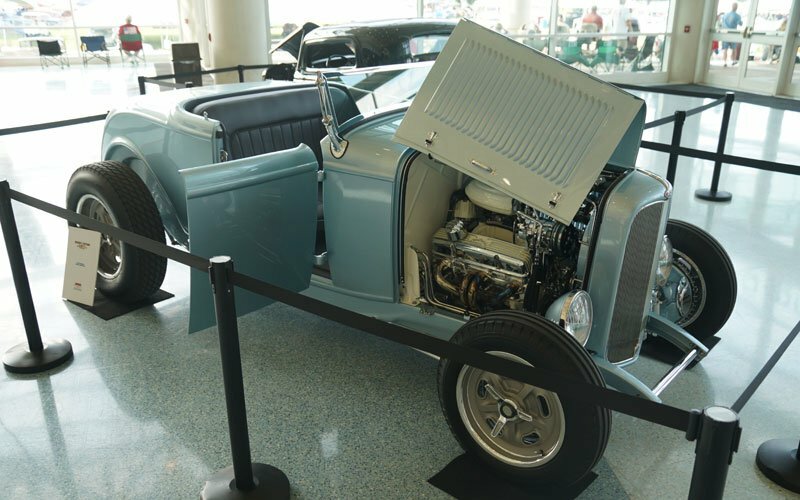 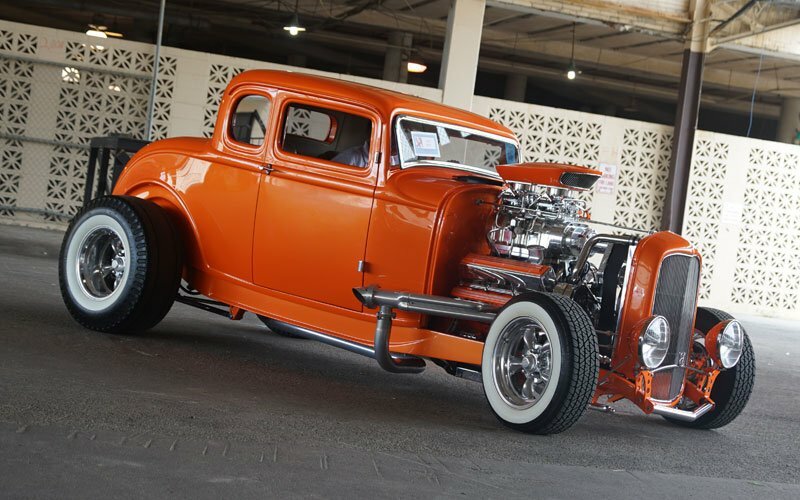 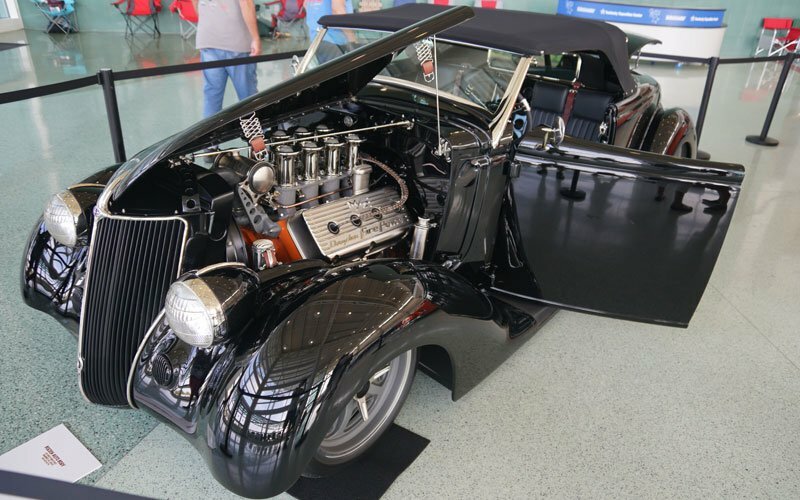 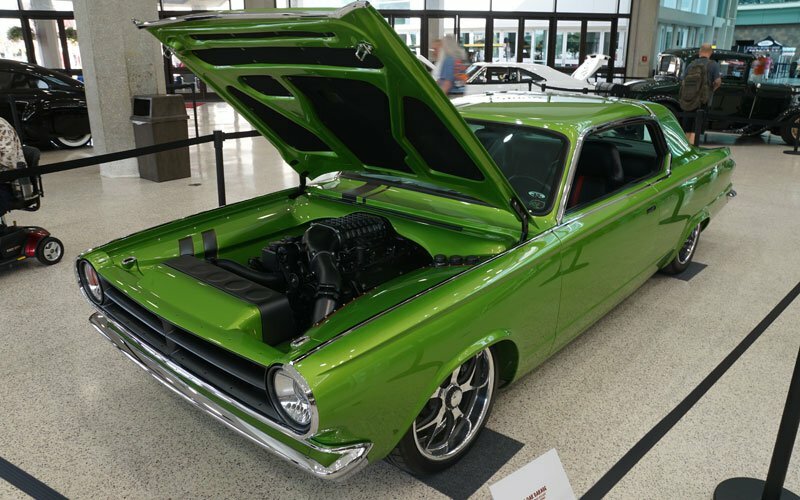 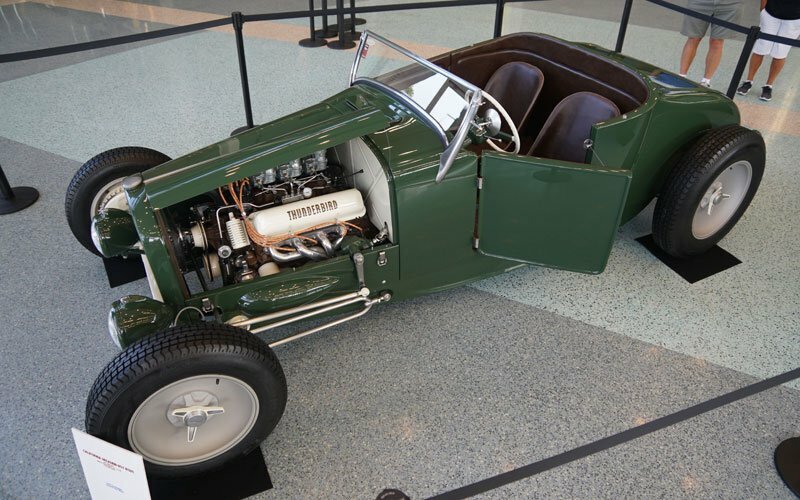 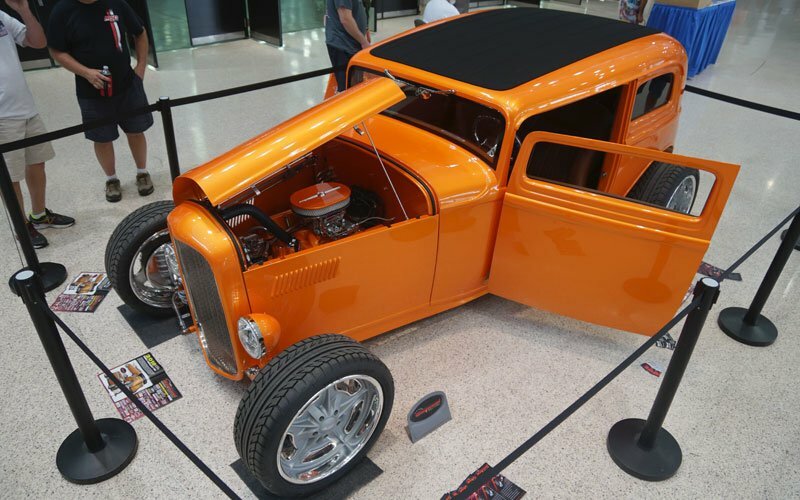 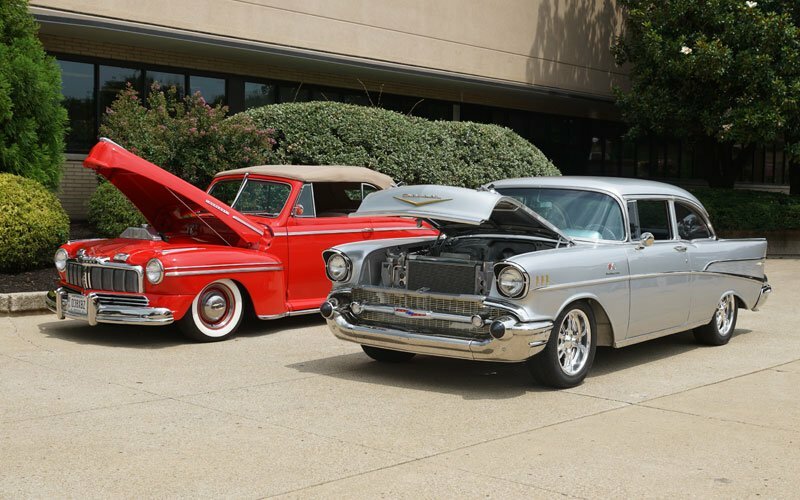 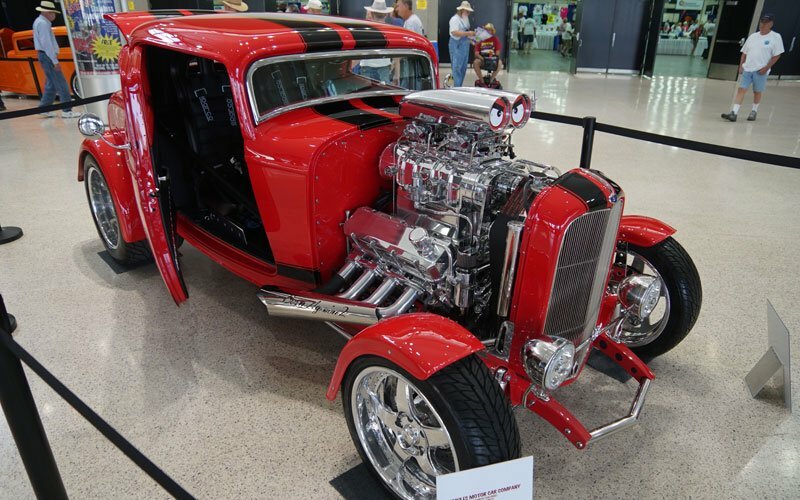 We saw everything from old school hot rods to high tech state-of-the-art builds. 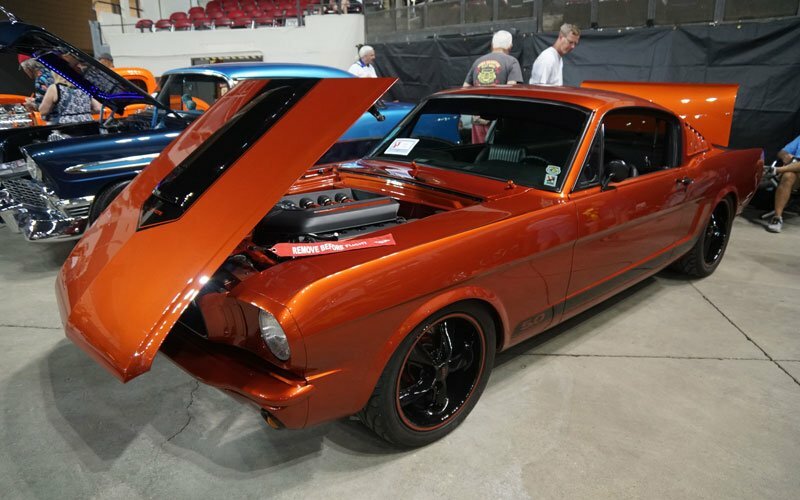 There was plenty of eye candy here in Louisville. 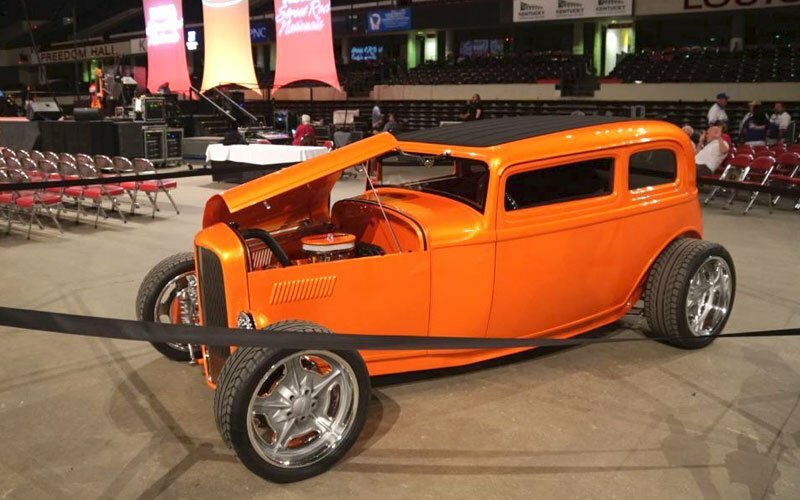 High honors went to Boesch Auto Body out of Humphrey, Nebraska when the custom car shop was selected as the Builder of the Year at the NSRA Street Rod Nationals 2018. 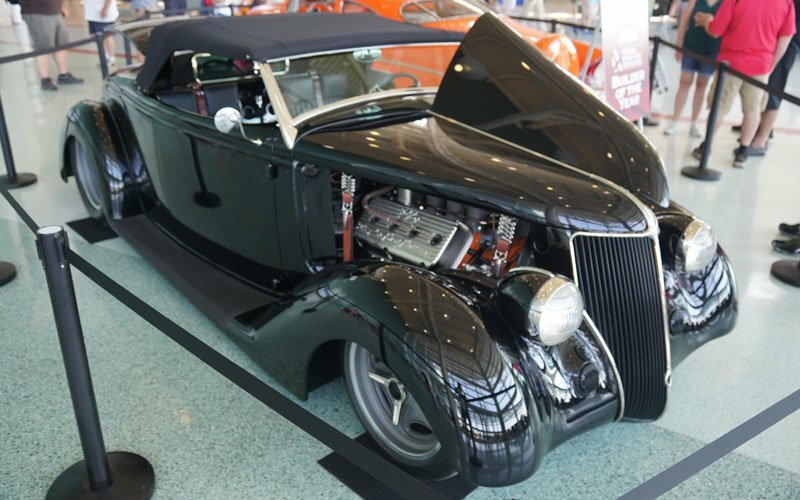 They custom fabricated this 1936 Ford Roadster for Dana and Marge Elrod working on it off-and-on for about eleven years. 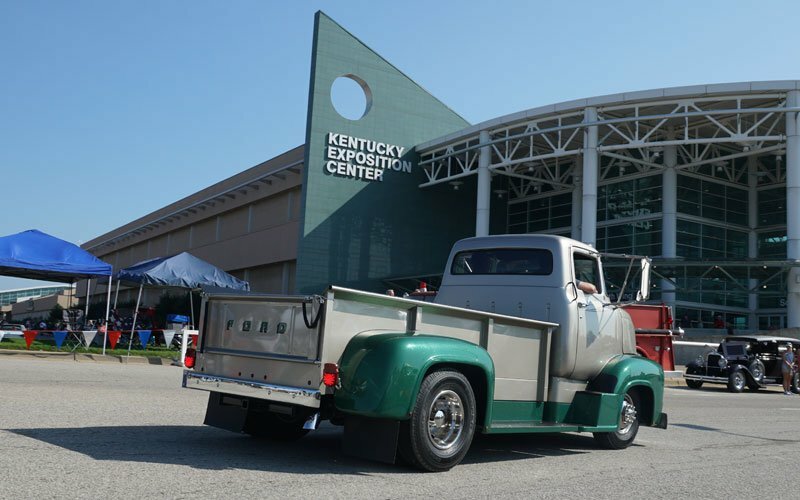 We caught up with Dale Boesch at the Harold Workman Lobby at the Kentucky Expo Center where the Builder’s Showcase competition was held. 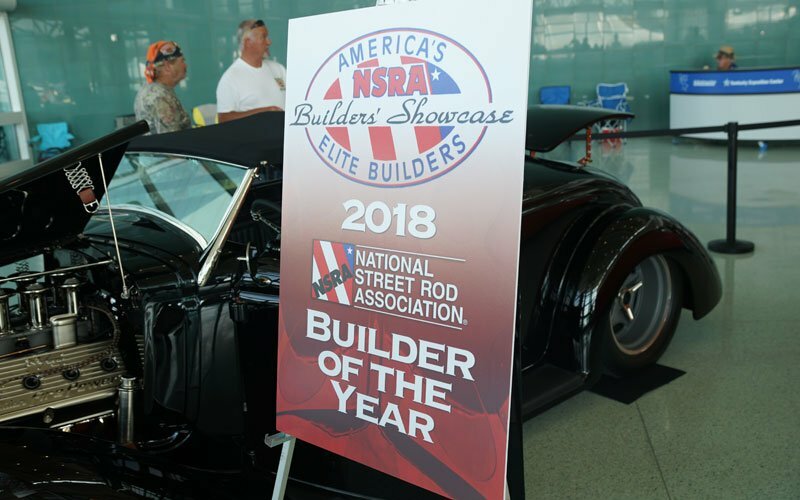 Dale walked us through some of the fine points of the build that won him the Builder of the Year Award. 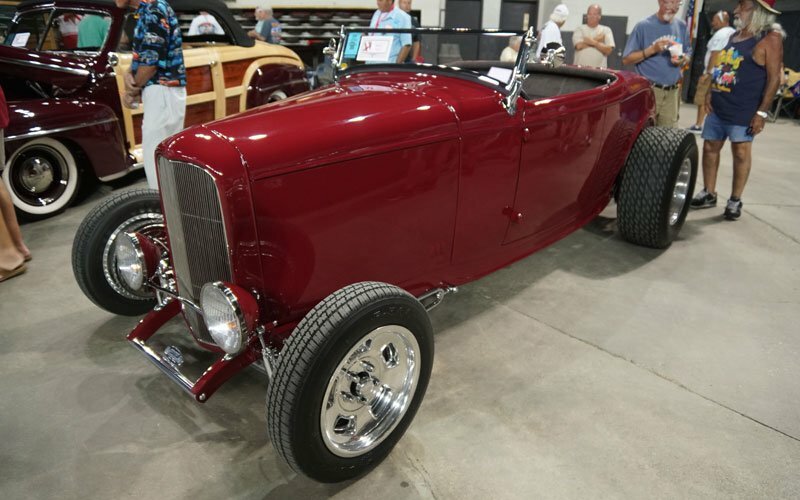 1927 Ford Roadster, California Dreamin Hot Rods, N.Y. 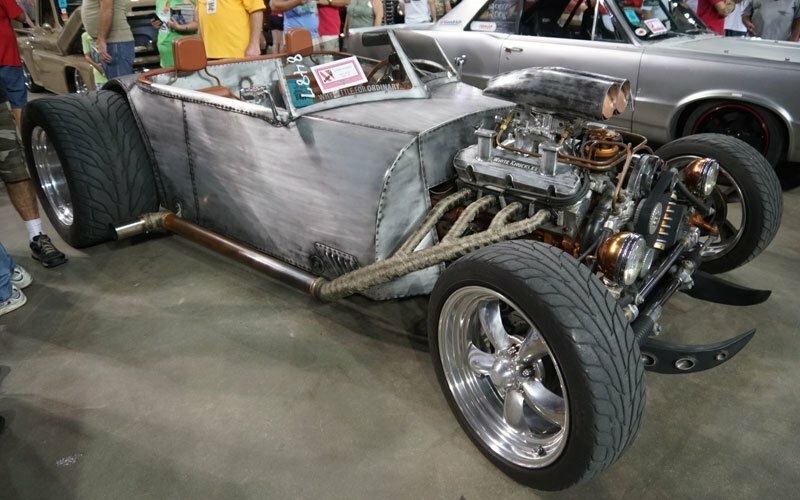 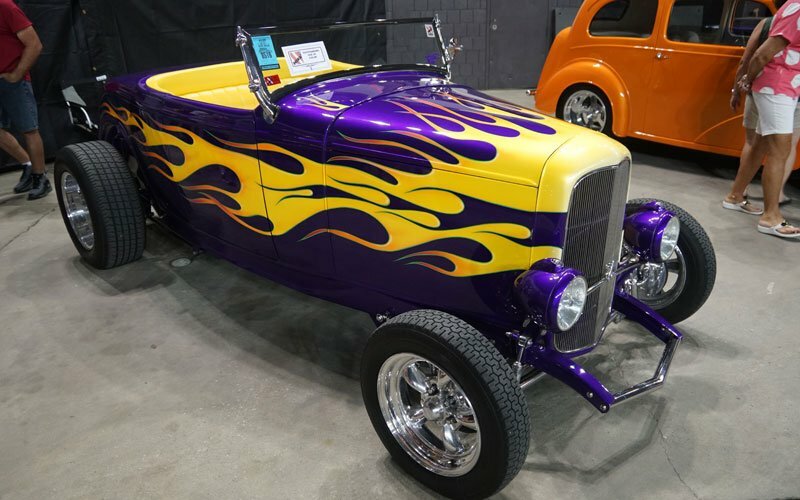 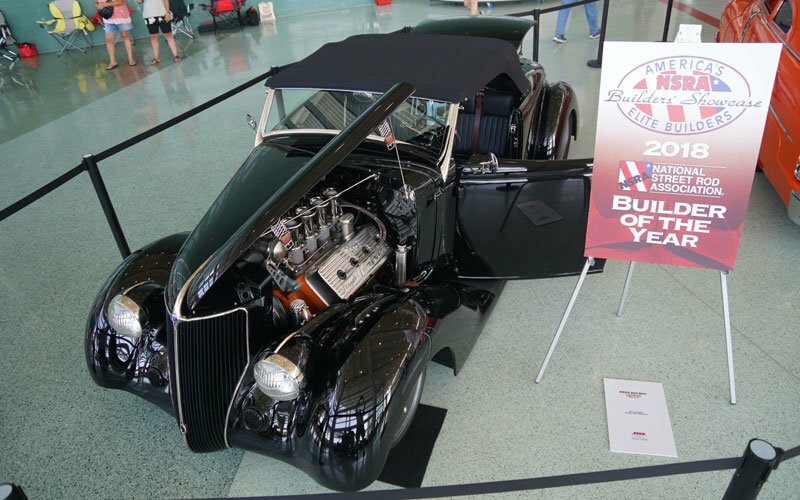 The Builder’s Showcase at the NSRA 2018 Street Rod Nationals is where you will find some of the street rod hobby’s best custom hot rod shops. 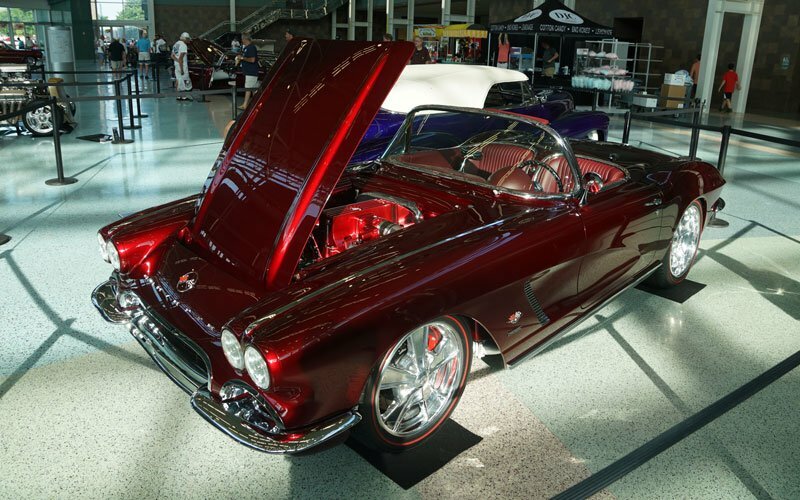 We found Joe Spano of upstate New York as he was talking about his 1962 Corvette Custom Fuelie in the Harold Workman Lobby. 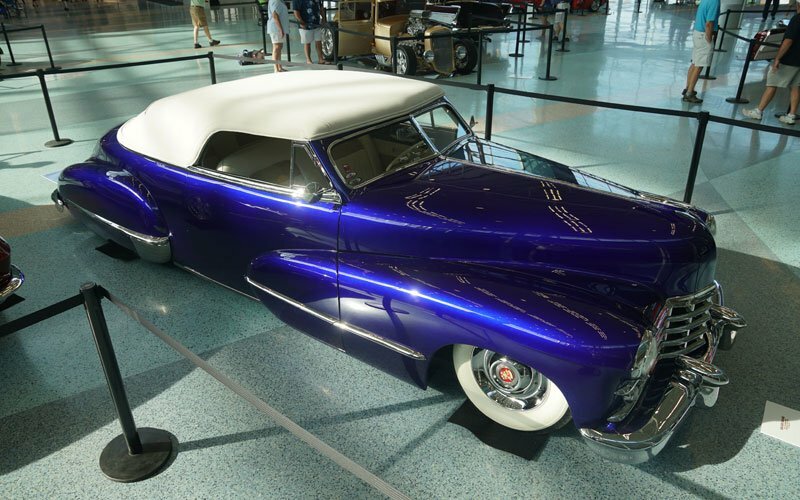 In this interview he told us the story of the car he bought when he was 19 years old. 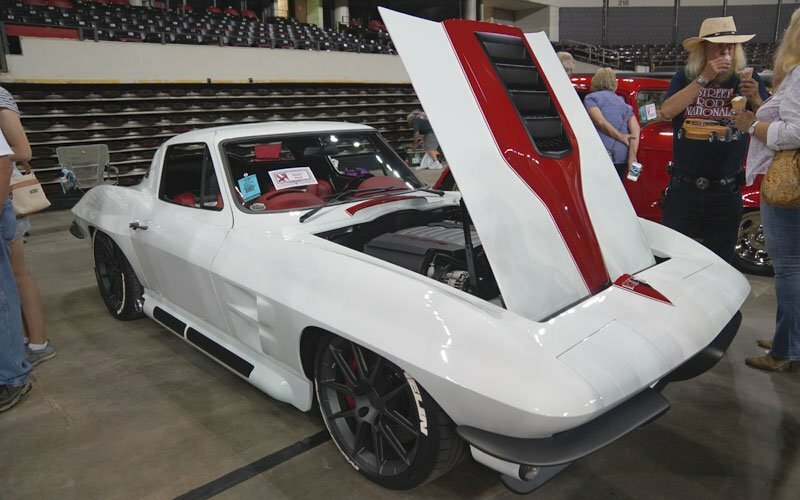 He recently had it completely redesigned by Steve Holcomb at Pro Auto. 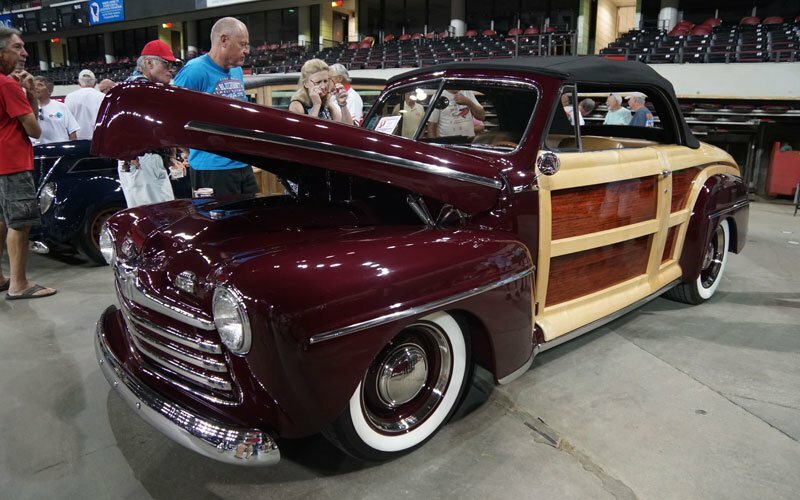 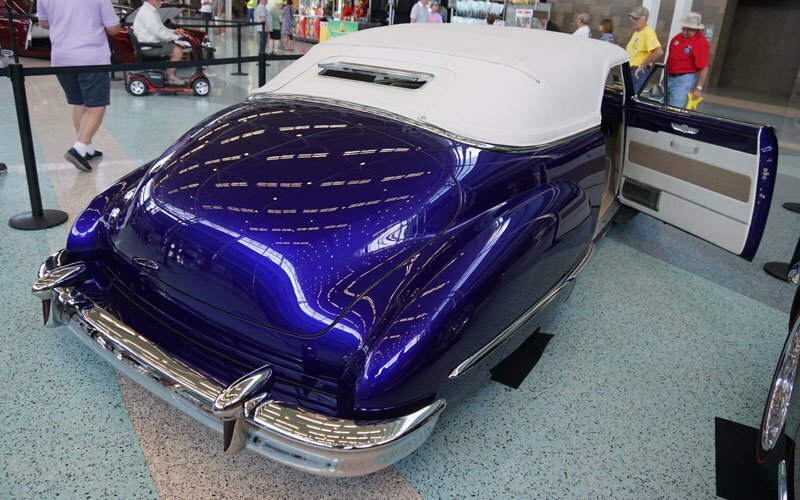 Mike Boerma, the owner of Gas Axe Garage in Grand Rapids, Michigan took a 4-door 1947 Cadillac and magically turned it into a 2-Door Convertible Street Rod with a Carson style top. 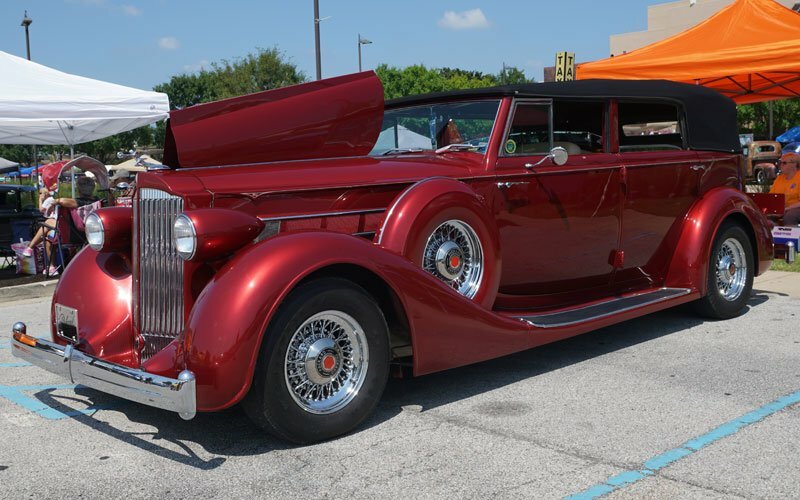 He calls it the Crystal Cadillac. 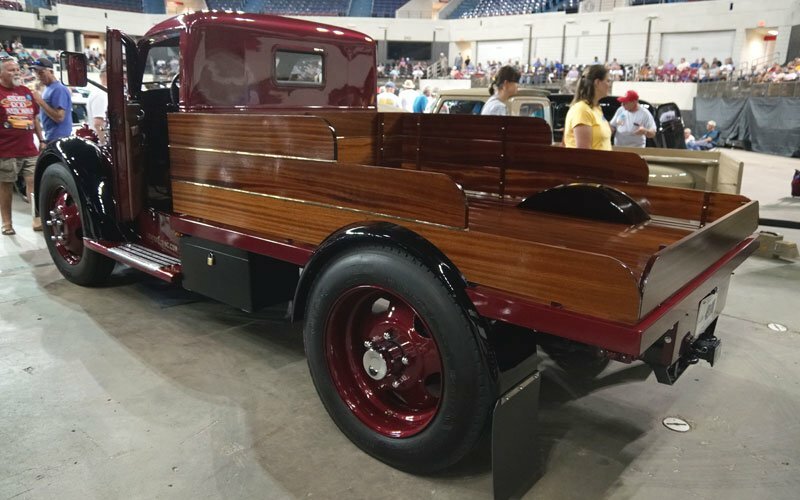 In this video he tells us how he built it for owner Kevin Anderson. 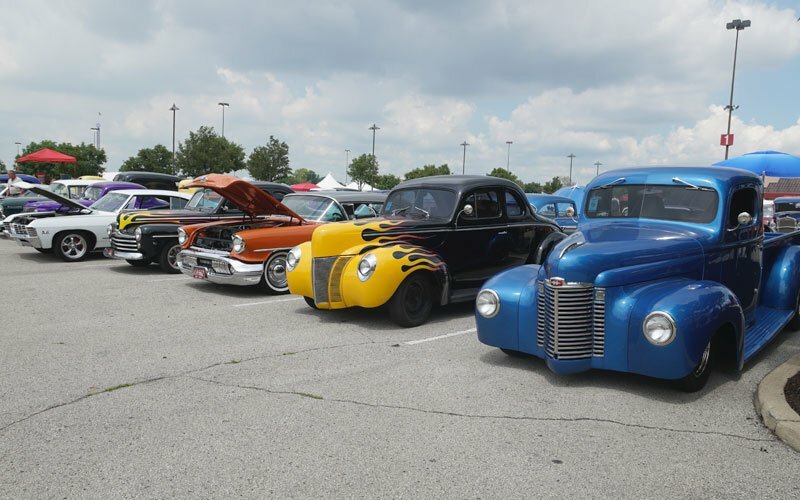 Cars On Line’s Car Show team is reporting on the NSRA Street Rod Nationals 2018 for our readers. 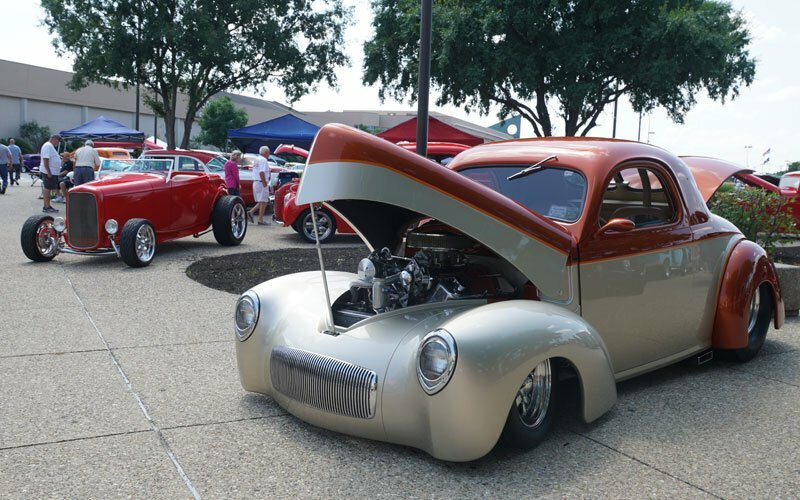 The NSRA is one of the oldest and largest street rod clubs in the U.S. 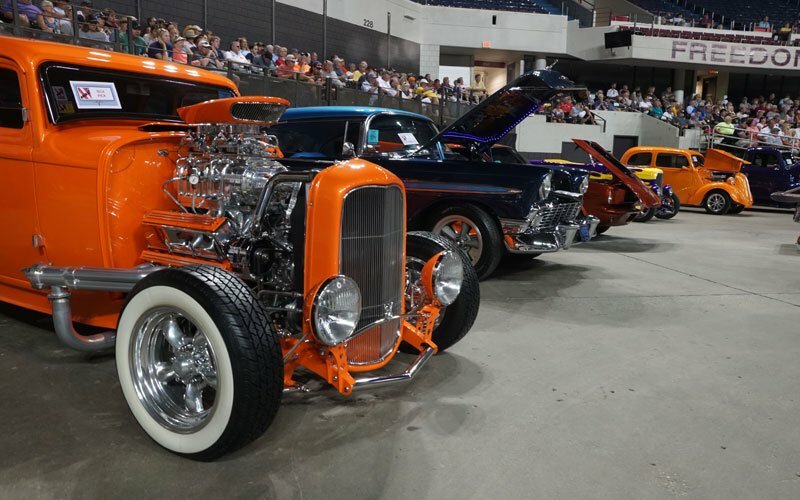 They really know how to put on a car show. 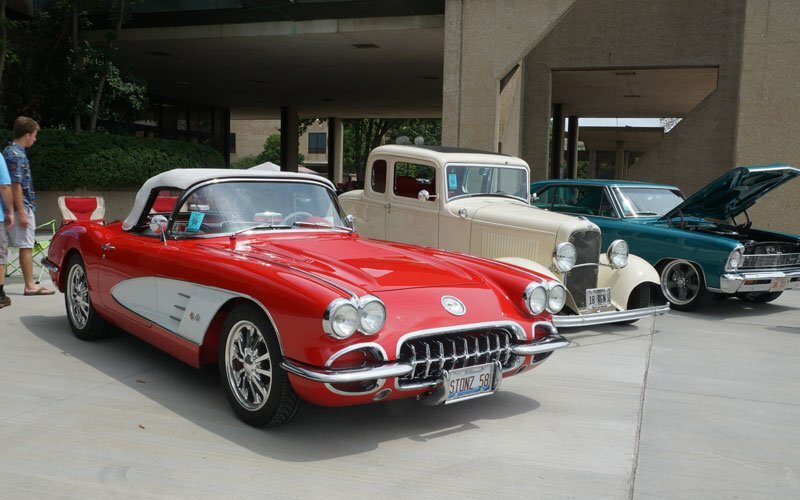 So our photo journalists, Bob and Donna Boberg of eClassicAuto.com, are on hand to take photos and video of the event. 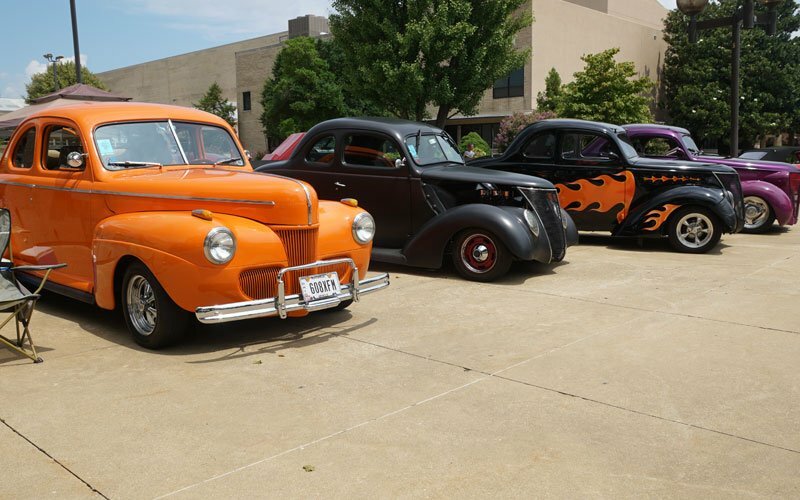 Watch for their posts on Facebook and Twitter. 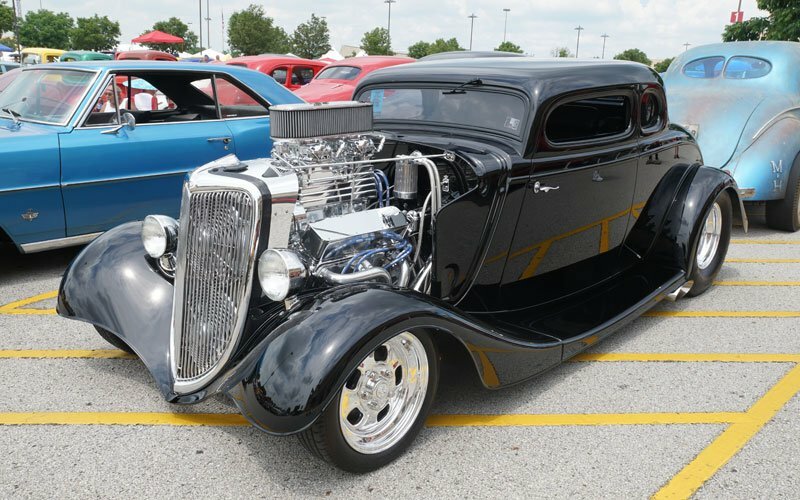 If you love the American hot rod, you’ll want to see the NSRA Street Rod Nationals 2018 through our camera lens. 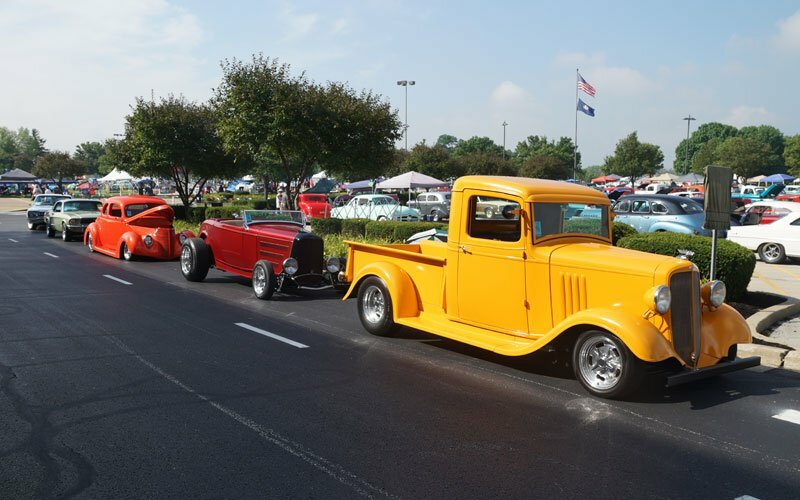 You can imagine our excitement here in Louisville, Kentucky anticipating one of the biggest street rod shows in the country. 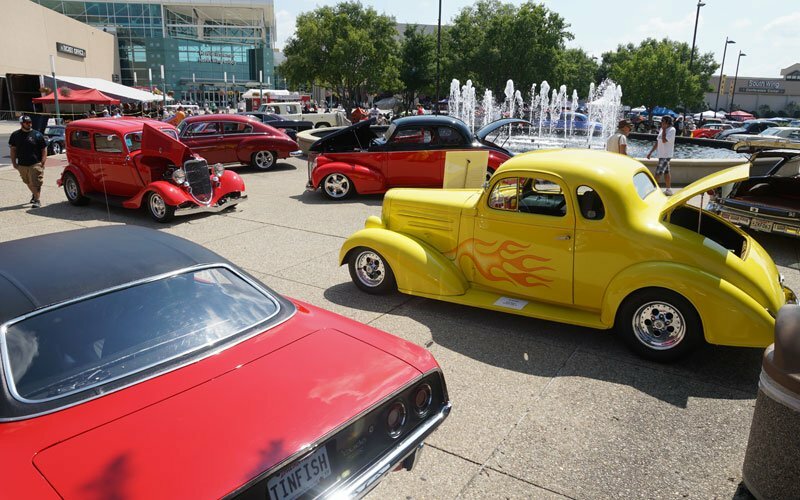 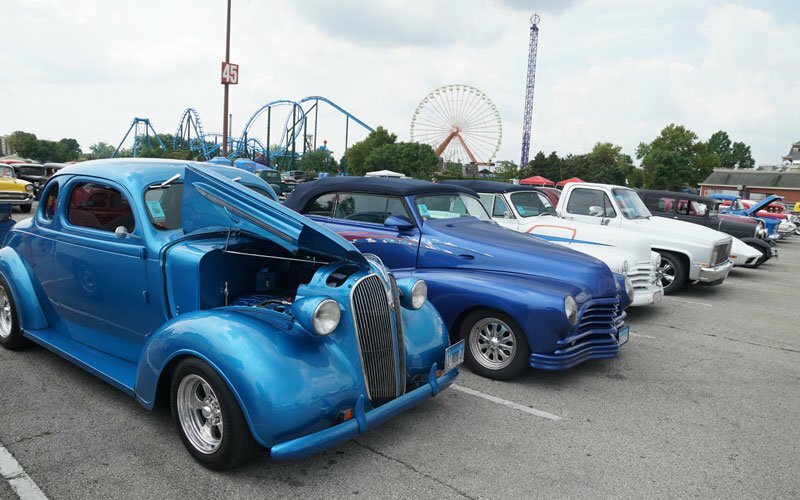 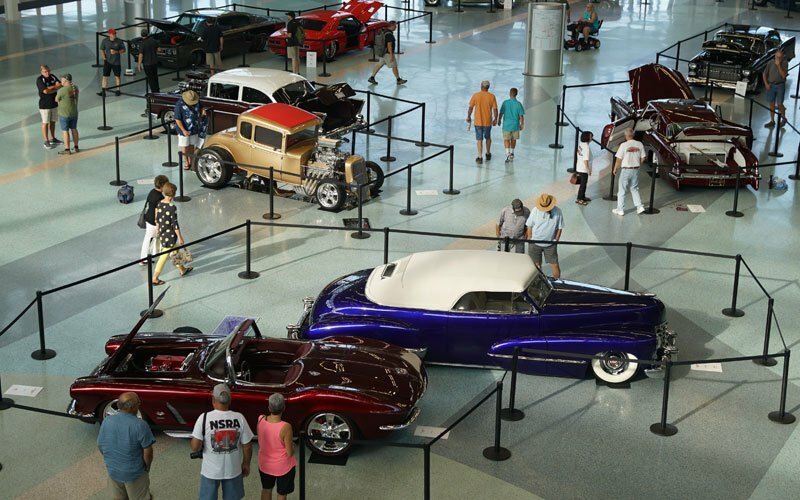 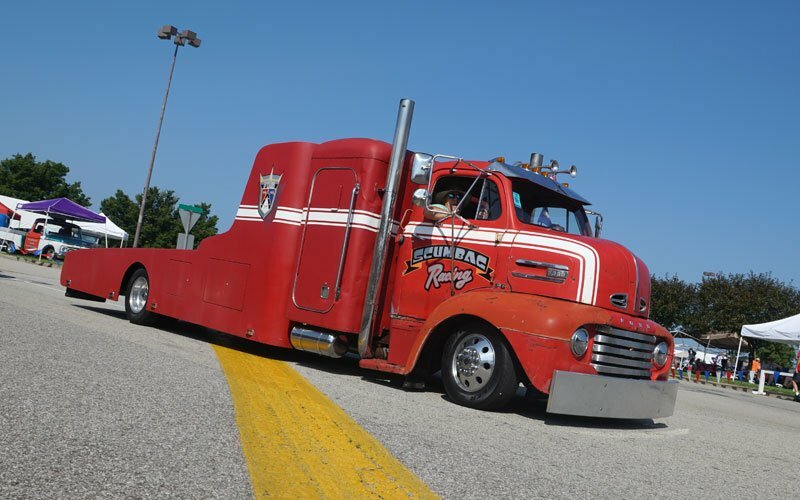 It is the signature event of the year for the National Street Rod Association. 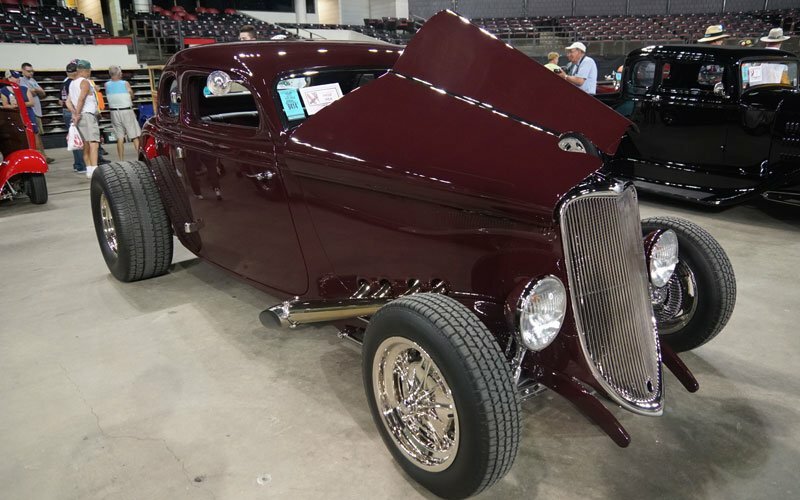 Yesterday they just announced the winner of the Give A Way Car, a 1932 Ford Victoria, here at the NSRA Street Rod Nationals 2018. 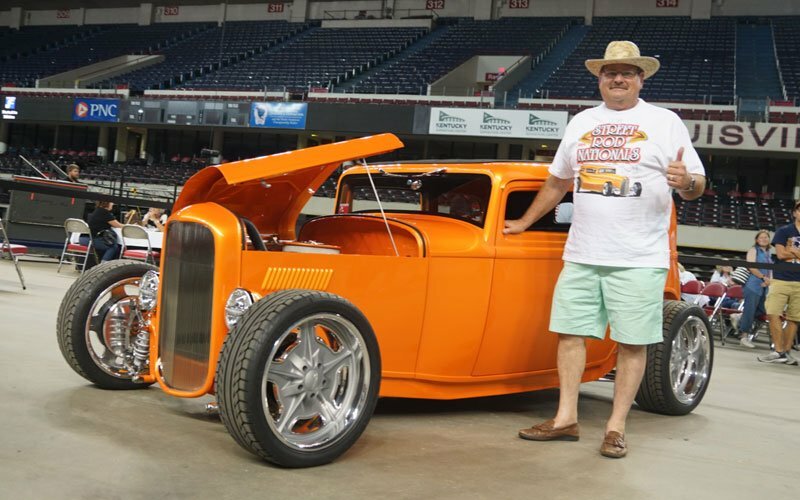 Charlie Senn, a local resident of Louisville, will be coming home in a beautiful ’32 Vicky Deuce Coupe. 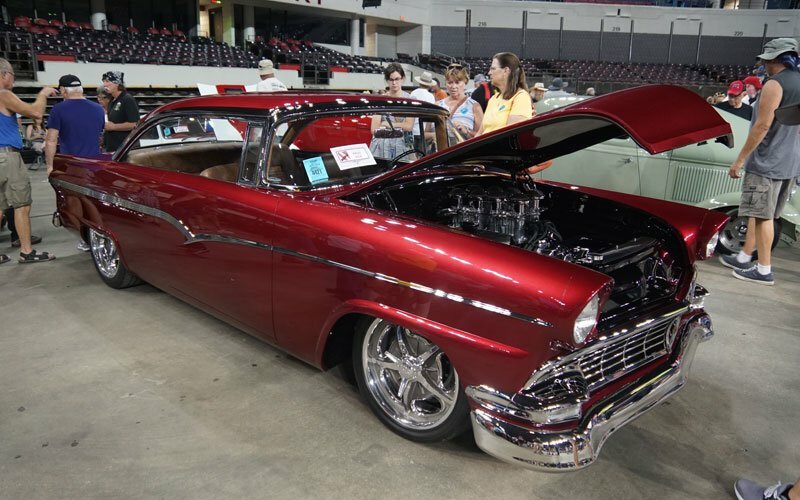 It was custom built specially for the NSRA Give A Way drawing. 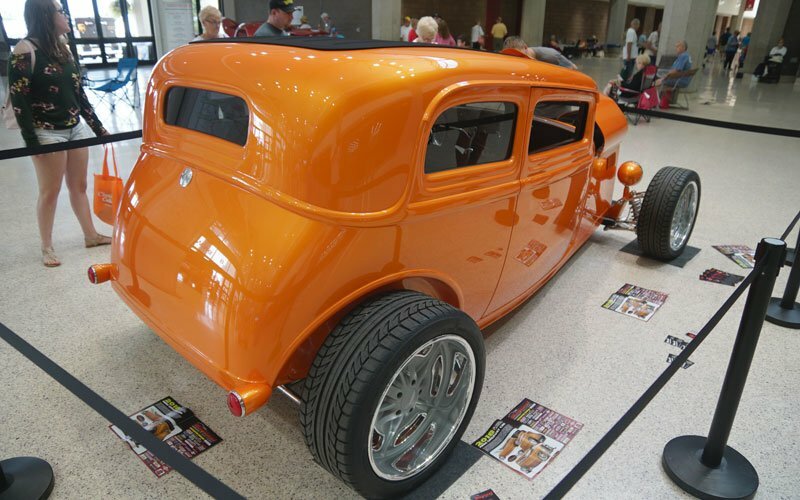 Charlie’s registration ticket was drawn here this afternoon. 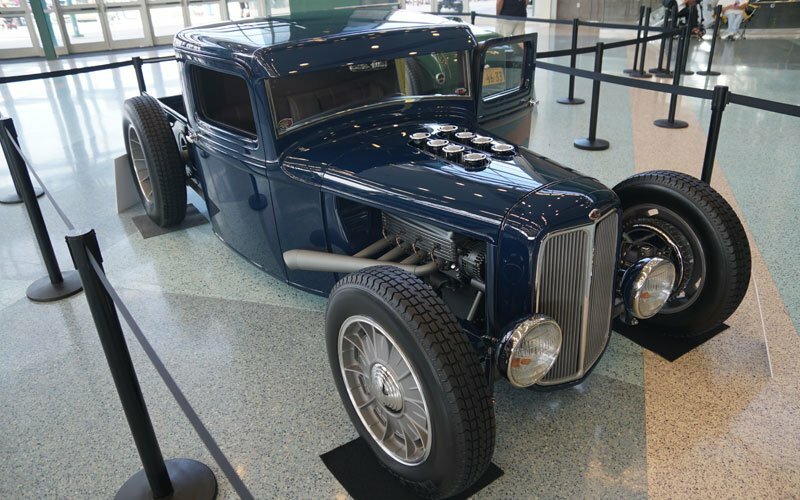 Waycool Customs of Pittsfield, Illinois built the 1932 Ford Victoria designed by Eric Brockmeyer of Brockmeyer Designs. 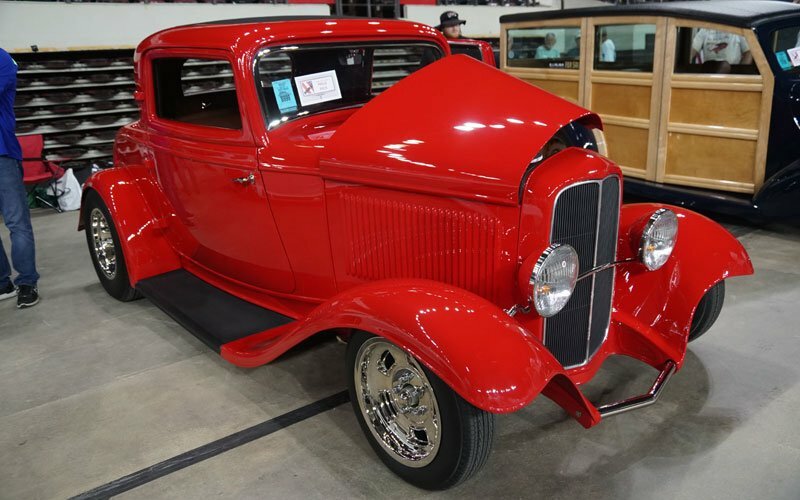 The state-of-the-art ’32 Vicky now has a new owner. 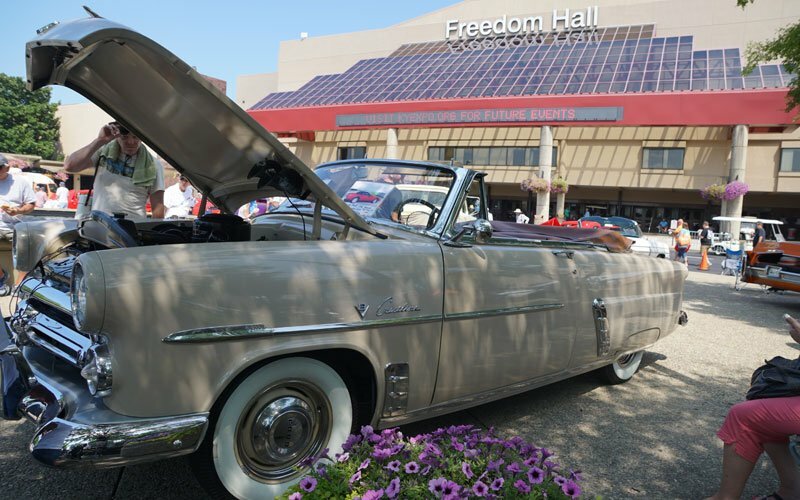 The drawing was held at Freedom Hall Saturday afternoon. 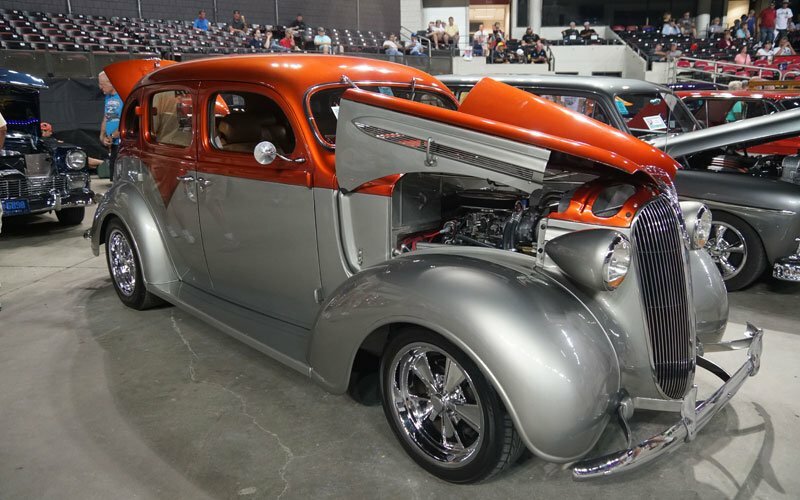 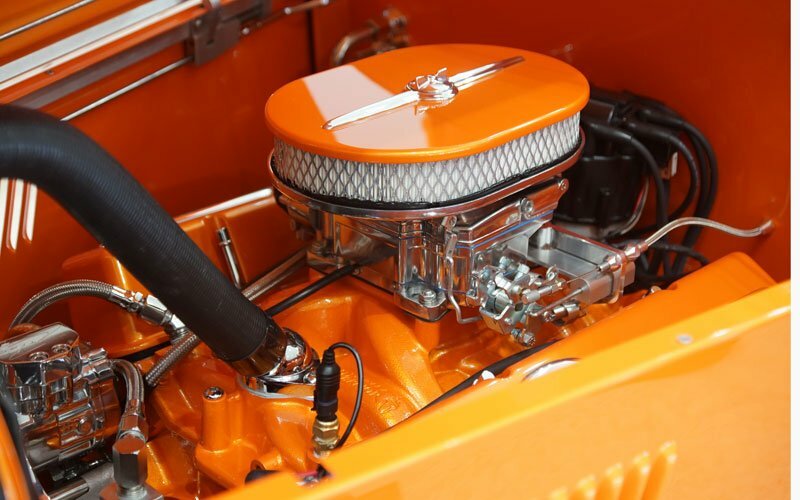 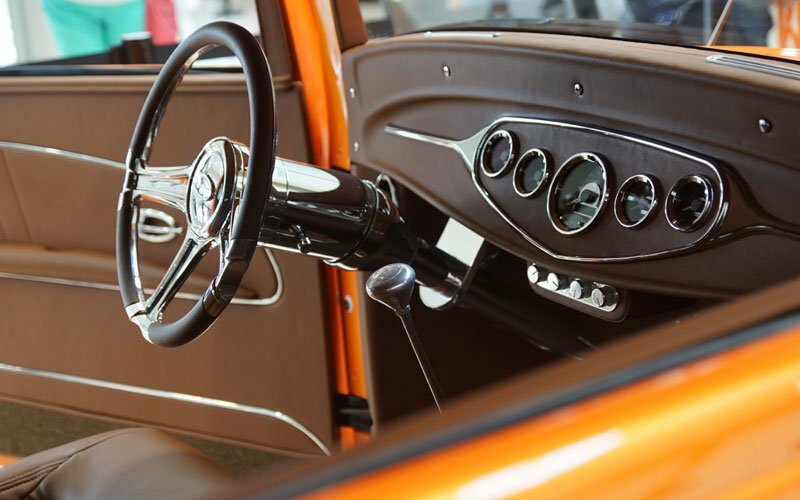 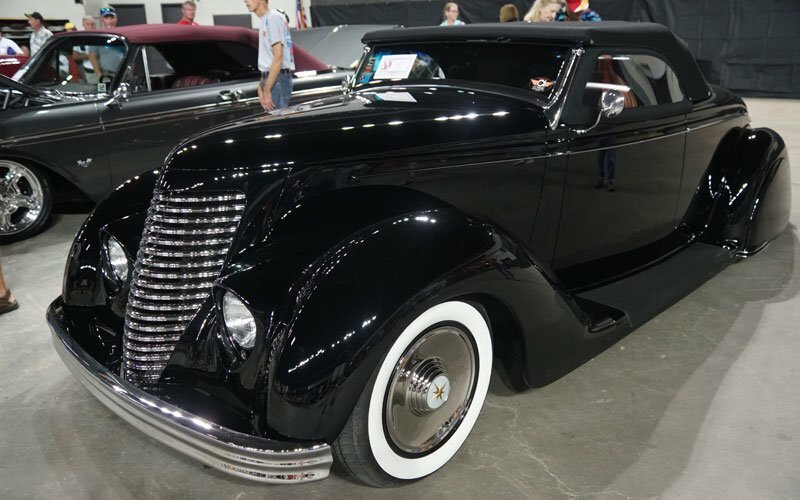 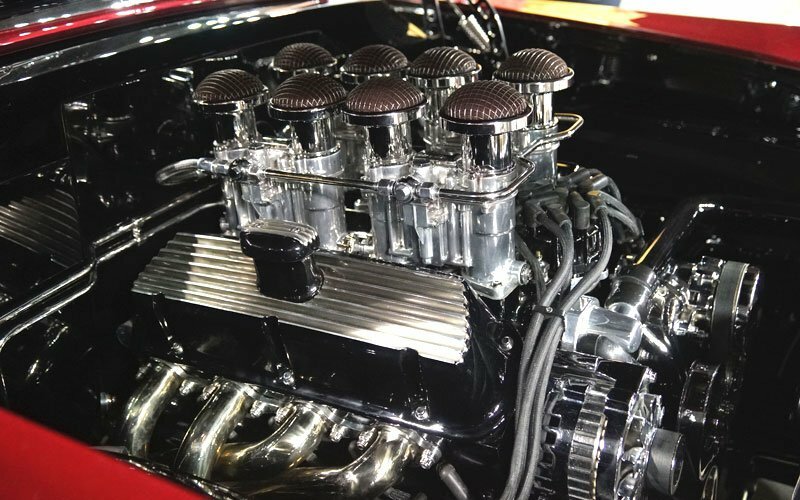 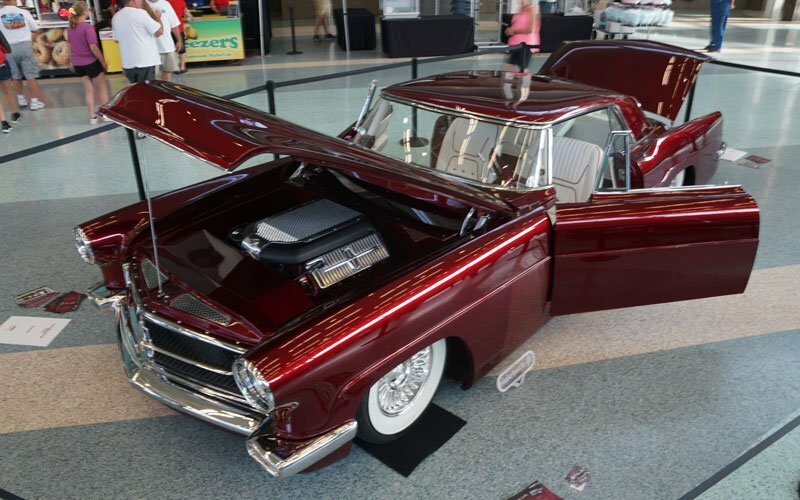 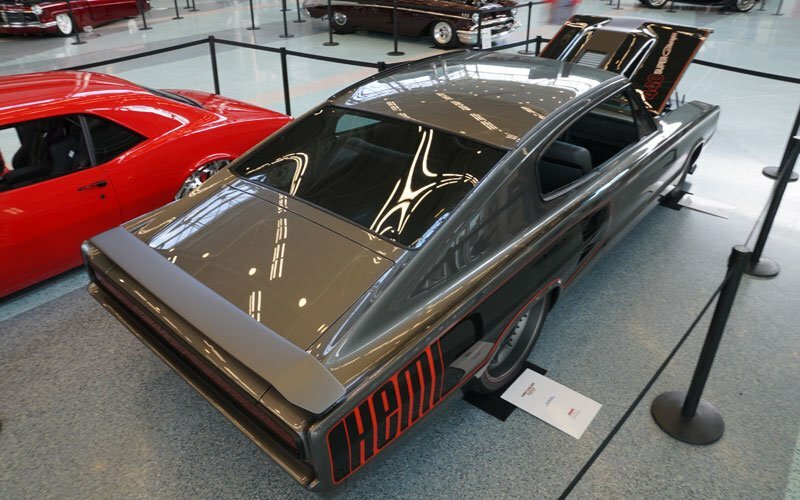 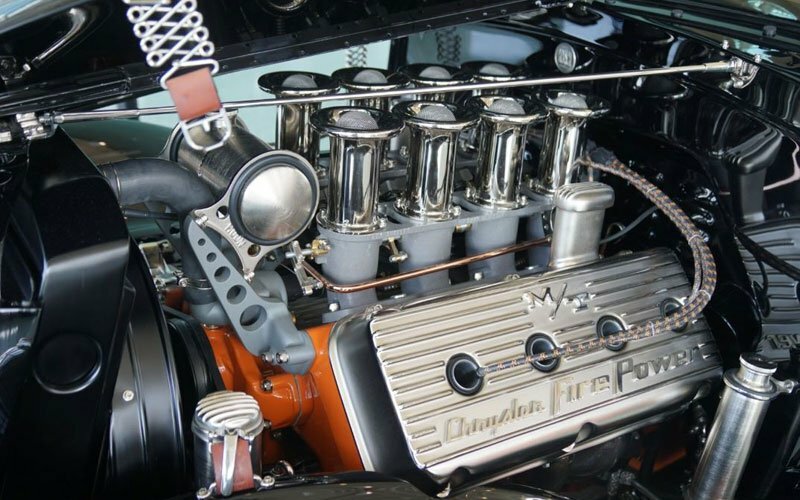 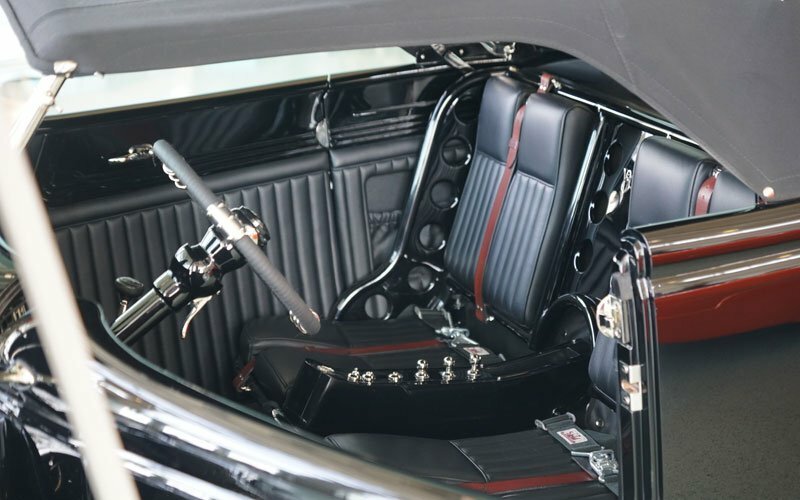 In addition to the 10,000+ street rods, customs, classics, muscle cars and resto mods, there was a giant manufacturers area with all the new innovations and equipment related to custom car building. 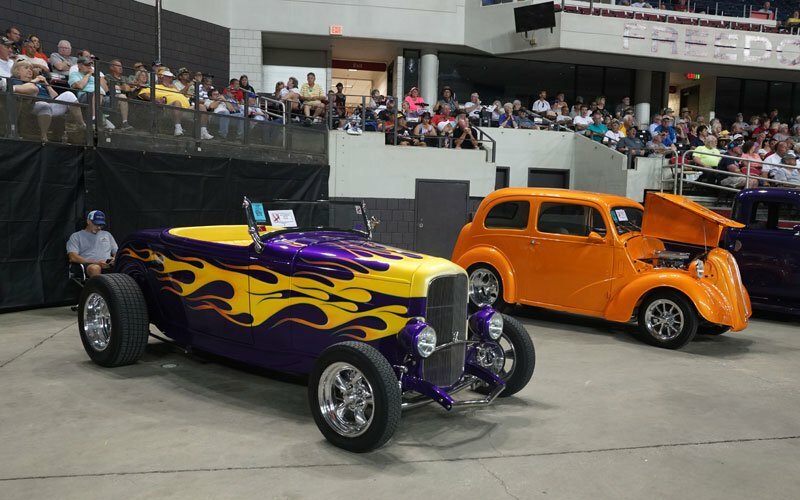 They say over 300 manufacturers are here to show you their products during the NSRA Street Rod Nationals 2018. 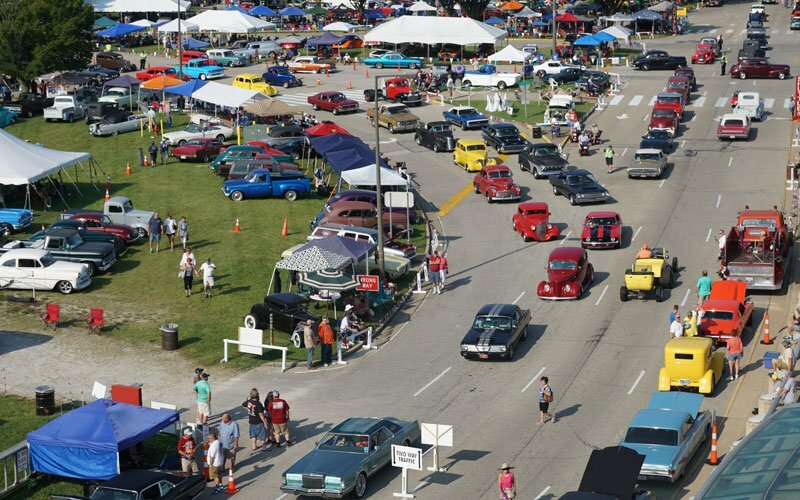 In addition, there was a giant swap meet, an arts and crafts show, Woman’s World, and NSRA StreetKhana Auto Cross racing.